While the Centers for Disease Control and Prevention has issued its final report on the recent outbreak of Listeria monocytogenes linked to contaminated Blue Bell Creameries ice cream products and deemed it over, we might not be out of the woods yet: Consumers could still get sick from eating contaminated ice cream that’s hanging out in their freezers, which is something some people are apparently doing. 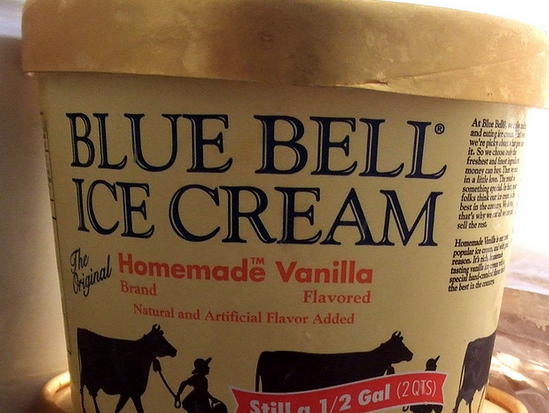 Thus far, tainted Blue Bell products have sickened 10 people between January 2010 and January 2015. All were hospitalized and three died as a result. Though it will be several months before Blue Bell can get new, listeria-free ice cream on the market, the CDC recommends that people check their freezers for any recalled Blue Bell products and toss them out, or return them to the place of purchase (if you can remember where that was). Yes, even if you already ate your way through most of the container that one night after the office party and didn’t feel sick. Well, not from listeria. The CDC also suggests doing a solid for other people or animals by throwing out recalled products in a closed plastic bag in a sealed trash can so no one else accidentally eats it. 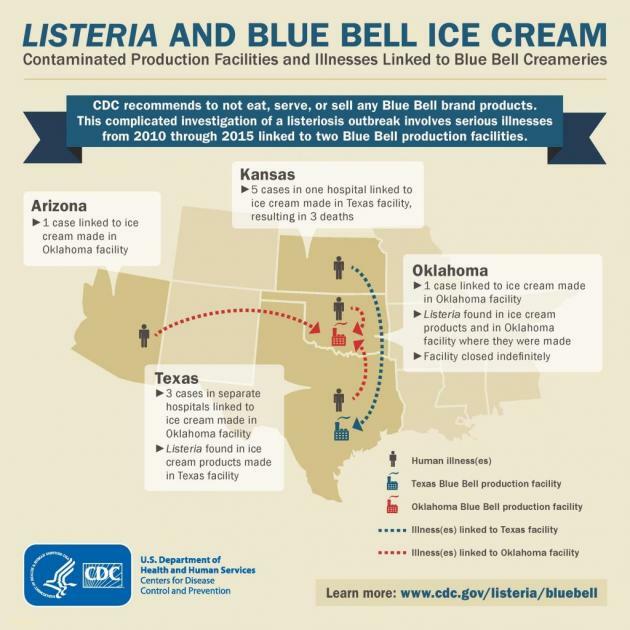 In April, the CDC found listeria bacteria in several frozen treat items produced in Blue Bell’s plants, prompting the company to eventually issue a recall for all of its products (for more about recalls in general, check out Consumerist’s guide). Documents from the Food & Drug Administration surfaced in early May, showing that the Texas-based ice cream maker knew of bacteria problems at its plants nearly two years ago, but failed to do anything about it.